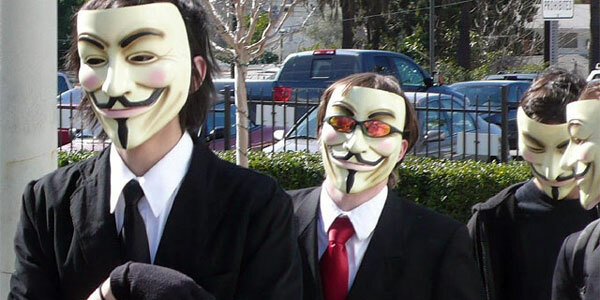 A civil war of sorts has been raging inside the ‘hacktivist’ group Anonymous, culminating today in a hostile takeover of the Anonymous IRC servers. The splinter group that has attempted to seize leadership of Anonymous, led by someone known only as Ryan, says that they seized control of Anonymous websites and IRC servers because they felt that AnonOps had become too centralized. Ryan also believes that Anonymous leadership had become more interested in destroying things for destruction’s sake than fighting for a cause, according to an exclusive interview on thinq_. The original leadership of Anonymous still has control of anonops.in, where they’ve published updates on recent events on a subdomain. AnonOps ‘netstaff’ goes on to advise users to avoid AnonOps.net and AnonOps.ru, and it seems to be a prudent suggestion as the splinter group has created a Google Site where they’ve published the IP addresses of many Anonymous members involved in the DDoS attack group. At this stage it appears that the Anonymous leadership believes they can regain control of the network.